CAPE CANAVERAL, Fla — A United Launch Alliance (ULA ) Delta IV Medium+ (4,2) rocket launched today, Wednesday, March 25, from Cape Canaveral’s Space Launch Complex 37 (SLC-37). It carried with it the ninth GPS IIF satellite for the U.S. Air Force. Liftoff occurred right on time and at the beginning of an 18-minute window at 2:36 p.m. EDT (18:36 GMT). The rocket responsible for carrying this payload into orbit is a variant of the Delta IV Medium – which is capable of flying in five different configurations to suit different missions and payloads. 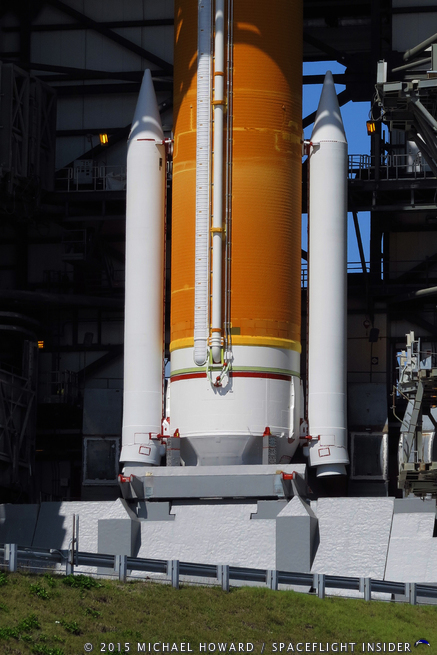 The smallest, Delta IV Medium, has only been used in three missions, has no solid rocket boosters, has a modified Delta III second stage with 4-meter liquid hydrogen and liquid oxygen tanks, and also a 4-meter payload fairing. Next is the Delta IV Medium+ (4,2) – used in this mission – and is similar to the Medium, but with two solid rocket motors attached to the CBC. 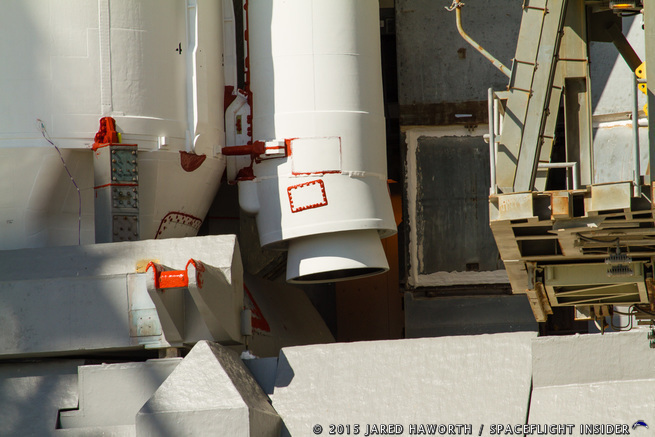 In this configuration, the first stage has undergone modifications to provide the room needed for the GEM-60 solid rocket motors. Approximately 5 seconds before liftoff, the RS-68 engine fired up, with the two solid rocket motors igniting as the countdown clock reached zero. Around 8 seconds into the flight, the rocket began a series of pitch and yaw maneuvers necessary to attain the trajectory needed for orbital ascension. The Delta IV broke the sound barrier after 47.5 seconds after liftoff; 13.2 seconds later, it passed through the area of maximum pressure, known as “max Q”. Two Orbital ATK GEM-60s solid rocket motors burned for 1 minute, 34.6 seconds; separation occurred 5.4 seconds post burnout. The RS-68 engine continued powering the first stage flight until 4 minutes, 7.2 seconds after liftoff. Following a 7.3 second coast, the CBC was jettisoned and 15 seconds later, the RL10 engine fired up. At 10.5 seconds after the second stage engine ignites, separation of the payload fairing occurred. The second stage burn will last 11 minutes, 2.5 seconds – with the second stage and payload now in a transfer orbit. Approximately 3 hours, 3 minutes, and 25 seconds after liftoff, the second stage will fire back up for 103.2 seconds and attain the desired separation orbit. These satellites are being fielded so as to replace 11 GPS Block IIA spacecraft which were launched between 1990 and 1997. These were designed to have an operational life of some 7 ½ years. Unlike earlier Block II GPS satellites, the GPS IIF fleet do not have apogee motors. 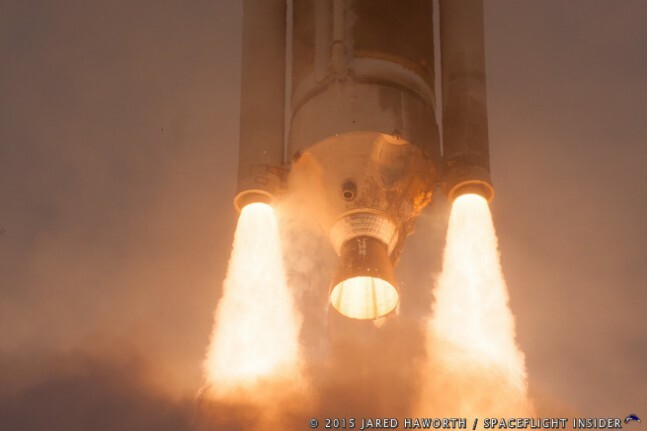 Whereas the IIA fleet was launched atop the less-powerful Delta II booster, these satellites are being sent to orbit atop the Atlas V and more-powerful Delta IV family of rockets. 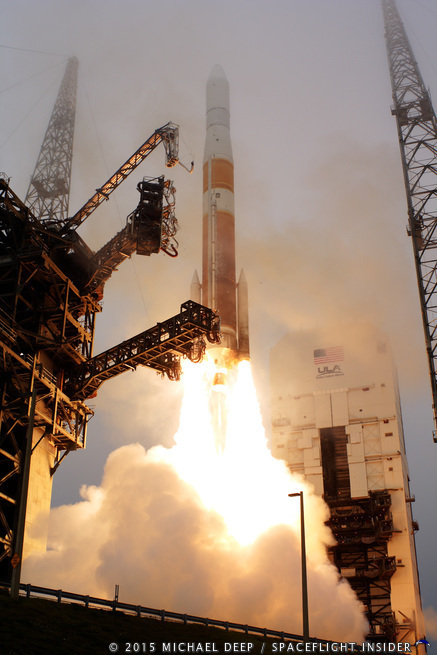 The Delta IV in particular is capable of ferrying the satellite – directly to its operational orbit. 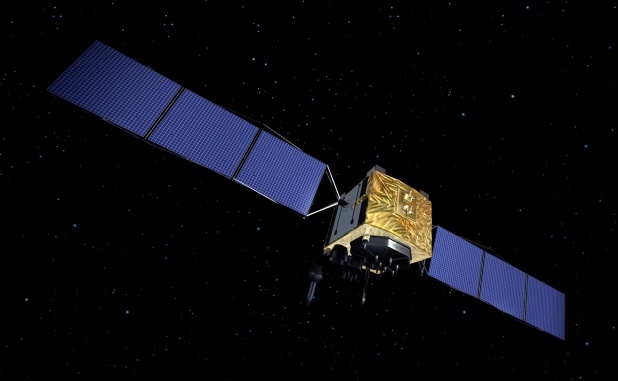 The IIF satellites are viewed as being vital for the GPS constellation and the continuation of GPS services over the next 15 years as outdated satellites are replaced with newer, more capable versions. Each satellite provides navigation data via Earth and Sun sensors and use reaction wheels for attitude control. They have a 16 Hydrazine thruster propulsion system perfect for any orbit adjustments. Thermal control is regulated with blankets, thermal coatings, radiators, and electric heaters. The vehicle launches with 145 kilograms of propellant and twelve 4.5-Newton and four 22.2-Newton Rocket Engine Assemblies. Accurate navigation signals are provided by two high-stability Rubidium clocks and a single Caesium atomic clock. The IIF satellite signals are twice as accurate as previous models. Each satellite has the ability to supply M-Code Signals, which are secure, jam-resistant signals needed for military operations. The Block IIF satellites contain the L5 ‘Safety of Life’ Signal and RH32 reprogrammable central processors, capable of receiving in-orbit software updates. have learned plenty from their visits at Dreamland.